A few years ago Sandburg boys head man John O'Malley famously instituted the phrase "Sectional of life" for the bleak filled "Sectional of death." It was more or less that we need to appreciate the great things that are offered to us. 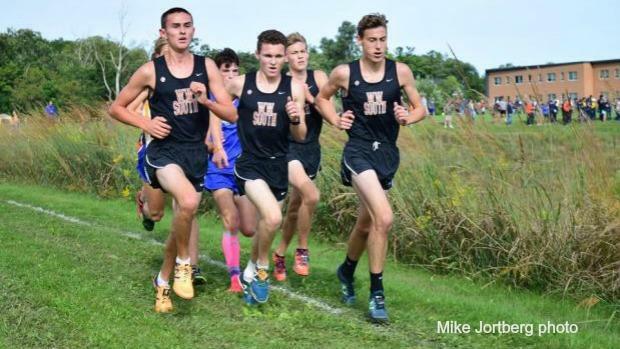 The talent-filled 3A Niles West Sectional will be a cross country meet that you do not want to miss. Course description: The three-mile layout is the same course when the last sectional was here in 2016. It will encompass a thrilling scene for the fans minus all of the twists and turns that made fast running on a flat surface such a challenge. The meet directors took a page out of the Lake Park course that alternates sectional assignments. Just as the Lake Park course is fan friendly and a delight for the runners, Niles West will also finish on the track. Weather outlook: Typical climes for this time of the season is expected with partly cloudy skies and the Mercury reaching a high of 50F when the boy's race goes off. In essence, it will be a great day to be a cross country runner.